How Can I Go 12 South Inn Suites? Where is 12 South Inn Suites in Nashville on the Map? This location has 49 reviews from customers. 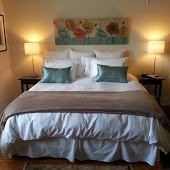 My husband and I stayed 3 nights at 12 South Inn Suites. John, the innkeeper, was very hospitable and gave several great tips on getting around and what to see in the area. The room was beautiful, very private and very comfortable. This inn does not serve breakfast, but does give you ample gift certificates to cover a great breakfast at a nearby coffee house. We had 3 very tasty breakfasts covered by the inn. We have stayed at many bed & breakfast inns and the past and this ranks right up there as one of the most memorable. We would not hesitate to recommend. 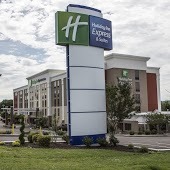 My wife, Hala, and I had a great stay here early in June. The rooms were extremely clean (very important to us) and spacious. The outdoor porch was pleasant for relaxing. John the innkeeper was warm and helpful and a lot of fun to talk to. The nearby restaurants were amazing. We will definitely stay here again when in Nashville. Perfect place to stay to experience Nashville. John, the innkeeper, was extremely helpful and was accessible during our stay to answer questions about places to go and things to do. At the Inn you are a short neighborhood walk away from 12th Avenue South and great shops and restaurants. Hop on Uber and it is only around $5 to $7 to get into downtown Nashville and Music Row - less than that to get to the Gulch, Belmont, Vanderbilt, or Lipscomb. Breakfast at the Frothy Monkey was very good and the convenience of using a gift card allows you to go at whatever time you want. My wife and I were here for a anniversary trip and we could not have stayed anywhere better. I also had to attend a business conference in downtown while we were there and found this to be a highly convenient spot for that as well. Highly recommend 12 South Inn and Suites. Our stay at the Inn was absolutely perfect. Beautiful suite, extremely comfortable bed and a quick walk to great food or an easy ride into downtown for other options. It's located in a very cute neighborhood and the owners offered top amenities, easy check in, and advice on where to go/what to do. They could not have made our stay easier or more enjoyable. We will absolutely stay here again next time we're in Nashville. Big THANK-YOU to John, the Innkeeper, who made our Nashville stay so nice! We loved the QUEEN room! It was so pretty & super comfy! Super location that was convenient to everything! We loved the area the B&B is nestled in! We especially loved the little porch & swing! I fell in LOVE with the Frothy Monkey restaurant....omelets are so delicious! A+++++ We hope to visit again soon!